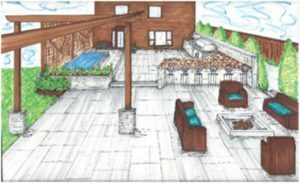 The initial meeting is to establish your needs and lifestyle usages of your landscape project. At this meeting, you will be asked to discuss your personal, family and lifestyle needs. We will look at the overall project and dreams and give you realistic and achievable ideas. 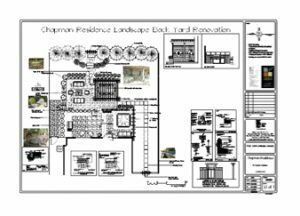 The area where this work is to be performed will be viewed to see how existing grading, existing structures, and possible building permit issues may affect and how best to integrate your lifestyle needs into a landscape plan. During this meeting we will want to review the existing survey, images of ideas that best represent your desired landscape and discuss budgets required to proceed. A consultation is about one hour long. There is no charge for this initial consultation as it is both information gathering for our design team at M&S Architectural and an opportunity for you to see our creative ideas and understand our professional approach to creating beautiful landscapes. At this initial meeting an estimate will be given for full concept design. Once the design process and conceptual plans are complete, a Softscape plan and layout will be completed including planting, lighting and all amenities required to give our clients a turnkey approach to their project. With over 28 years of experience in landscape construction, our design and management team is ready to serve your complete project needs. At M&S we offer the full design process in-house. The second meeting will be to review the landscape concept showing a special layout of both hard and soft landscapes. This drawing will be a computer rendered drawing that is scalable and ready for construction depending on the level of detail that is required. At this meeting, we will review and edit comments from clients and propose a preliminary budget based on the various products required and recommended. The final step of this meeting will be to review preliminary budgets and costing to construct your landscape. 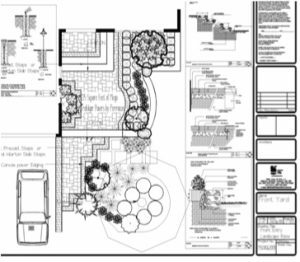 Once the initial landscape drawings are approved, M&S Architectural will firm up the estimate for work done and create a full, conceptual, detailed landscape plan, construction plan, planting plan, landscape lighting plan to complete the full design process.